911 Error on WhatsApp is happening because of 3 different reasons. 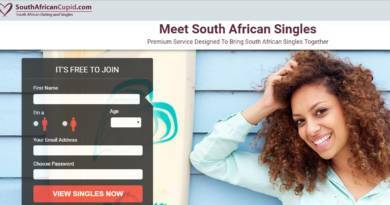 The problem is not about WhatsApp Messenger though. You are facing with this error because your play store data and cache is completely mess now or your phone’s cached data needs to be clear and you need more storage space or there is a conflict between application or files. This problem is not very hard to resolve if you know about settings. If you don’t know about your phone settings, we have already provide a guideline for you in the past for a similar error, you can check the steps from there. You can click here to see step by step guide for 911 Error fix. If you know your phone settings well, the short information below is going to be useful for you. If you are getting any other error with WhatsApp installation on your android device, you can click here to go to our error directory. We hope that our guide will be helpful to you to resolve this issue. Let’s begin! As we have told you at the first paragraph, this guideline is good for those who knows about the settings of his/her phone. If you don’t know about it, please click on the link above which is called “Step by step guide for 911 error fix”. There is 3 ways to remove this error from your phone. Way 1) Clear Cache and Data of Google Play Store application on your device. This is located on Apps settings of your phone. Restart your phone, try install WhatsApp Messenger to your device again. Way 2) Clear cached data of your phone from the storage settings. Clear all photos, videos, audios, applications and any kind of files which you don’t need at all at your phone. If you think that there is not enough storage on your phone yet, try move some data to another resource like portable HDD, Memory Card, etc. Way 3) Allow Unknown Sources from the security settings of your phone and download the WhatsApp from the official website. You can also try your update your phone or tablet if there is a new version of Android. 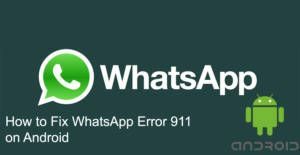 This can also fix problems related with Error 911 on WhatsApp messenger.